KABUL, Afghanistan — Authorities are investigating an errant U.S. strike on an Afghan military base in the country's south that killed at least five Afghan troops, a lawmaker said Thursday. The soldiers were killed by friendly fire Wednesday in what was supposed to be a precision airstrike by U.S. forces supporting Afghan soldiers battling insurgents near the city of Tarin Kot in Uruzgan province. Lawmaker Obaidullah Barikzai from Uruzgan province told The Associated Press that Afghan soldiers inside the base in Tarin Kot believed a darkened convoy approaching the base was the Taliban — not U.S. and Afghan forces — and opened fire, invoking a blistering retaliation. The Taliban often travel in convoys with no vehicle lights on, Barikzai said. The Taliban control vast areas of Uruzgan province and the Afghan security forces had been on alert that an attack could be coming. A U.S. air-to-ground strike was called in to aid the convoy when it came under fire. 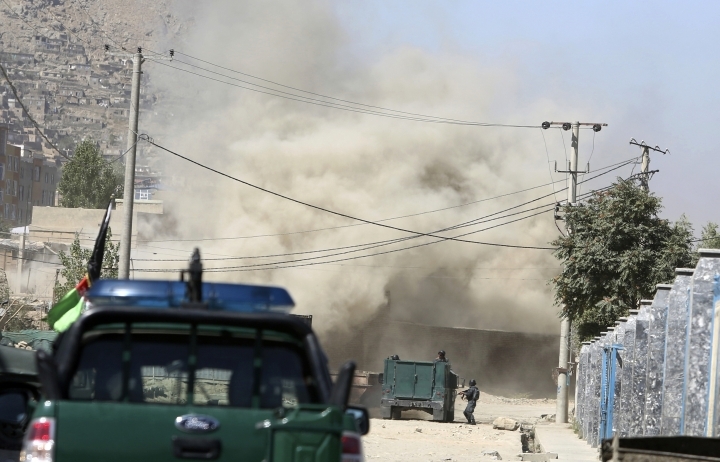 Barikzai said it hit the Afghan army base, located barely 4 kilometers (2.5 miles) from the governor's house, but other reports say the strike hit outside the post, which had recently been moved from one location to another. The U.S. military said Wednesday it responded to incoming fire on Afghan and U.S. forces on the ground and attempted to come to their defense by conducting a precision airstrike. 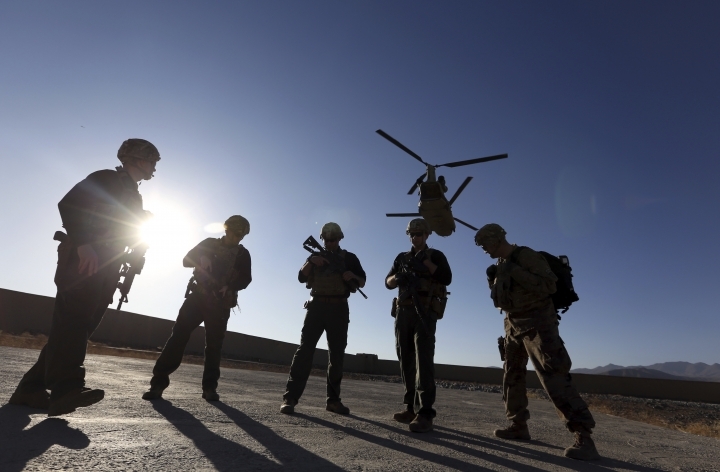 Despite intensified negotiations between the U.S. and the Taliban to end the 17-year war in Afghanistan, the insurgents have been carrying out near-daily attacks across the country, mainly targeting the government and security forces and causing staggering casualties. New police chief Abdul Raqib Mubarez landed at the airport in Mazar-e-Sharif on Thursday but police blocked him from heading into the city to take up his post. The standoff escalated into a firefight that lasted several hours between government forces and militia members loyal to warlord Atta Mohammad Nur. It ended with 25 of Nur's militia jailed, said Interior Ministry spokesman Nusrat Rahimi. One member of the government security forces was wounded, he said. The development could escalate into an all-out feud between Afghan President Ashraf Ghani and Nur, a powerful warlord who holds sway over Balkh province. He is also is a prominent member of the so-called Northern Alliance that was led by Ahmad Shah Masoud, who was killed in a suicide bombing on Sept. 9, 2001, just two days before the terrorist attacks in the United States. Several years ago Afghanistan legalized militias loyal to the country's warlords, many of whom took up government positions after the overthrow of the Taliban. Initially, after the 2001 collapse of the Taliban, the United Nations ordered all militias disarmed but as the country's security deteriorated, many warlords both with the government and in opposition redeployed their militias.